The Dark Ages came to an end with the Protestant Reformation. In the 1380s, John Wycliffe translated the first hand-written English Bible from Jerome’s Latin Vulgate. Wycliffe opposed the teachings of the Roman Catholic Church and he became well known throughout Europe. In the 1450s, Johann Gutenberg invented the printing press, as well as the Gutenberg Bible, which was another Latin translation. The printing press allowed the Bible to be produced in large quantities and reach many common people in a short period of time. In 1517, Martin Luther released The Ninety-Five Theses, which is a paper of 95 statements of the Christian faith. Many of these statements opposed the Catholic Church, which triggered the official beginning of the Protestant Reformation. Later, Luther translated the Bible into German, which spread the Christian faith even further. In 1525, William Tyndale was the first man to print the New Testament in English. Tyndale was a theologian and a scholar who held views that were considered heretical. The Tyndale New Testament was banned by the authorities and he was burned at the stake in 1536, by the authority of Henry VIII and the Episcopalian Church. The Church claimed there were thousands of errors in his translation, but in reality they couldn’t find any, and simply wanted to retain power as the authority of God’s word. 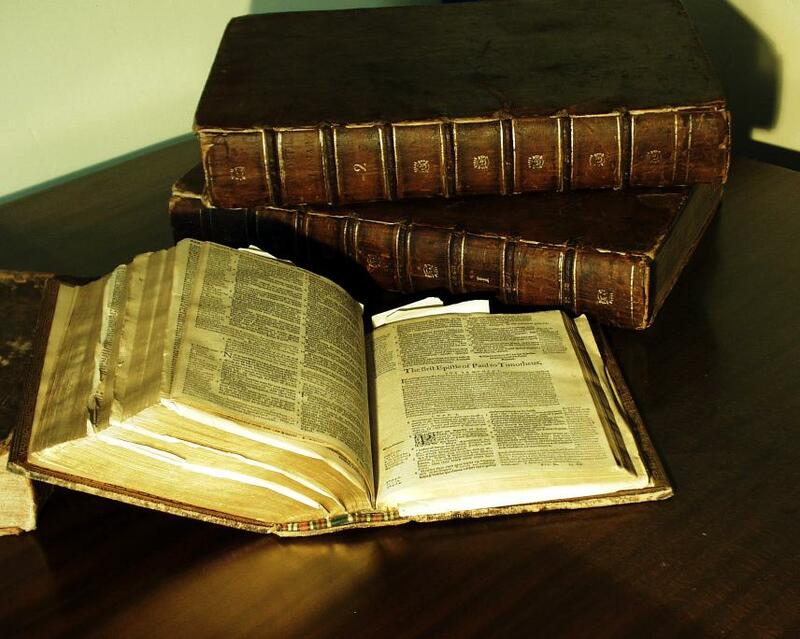 Today, there are still two original copies of Tyndale’s Bible. Myles Coverdale and John Rogers were disciples of Tyndale and decided to pick up where Tyndale left off. 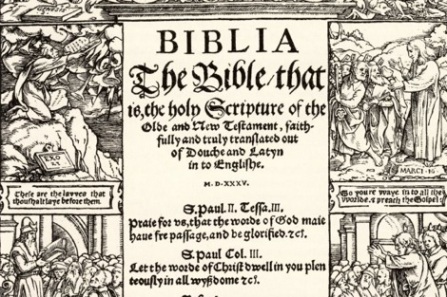 In 1535, they produced the first complete printed English Bible in 1535, named The Coverdale Bible. John Rogers then printed a second edition in 1537 under the pseudonym “Thomas Matthew”, thus naming it The Matthew-Tyndale Bible. A few years later, King Henry VIII had a change of heart about the Bible and requested Thomas Cranmer to produce The Great Bible, which was an English translation authorized for public use. Part of the reason for this was the fact that Henry VIII opposed the Pope and the Roman Catholics. He figured producing this Bible would shift the power to the Episcopalian Church. The Great Bible was published in 1539. Later on, John Calvin (founder of Presbyterian Denomination) and John Knox published The Geneva Bible in 1560. The Geneva Bible was the most popular English translated to date. It was the first to add numbered verses to each chapters. It also had notes and references in the margins similar to any of today’s study Bibles. The Geneva Bible is also the one Shakespeare quoted in many of his plays. Although it was very popular, it was somewhat controversial. Its marginal notes were unkind to both the Episcopalian and Catholic Churches. For example, it claimed that the Pope was the Anti-Christ. In 1568, under Queen Elizabeth I, a revision of the Great Bible, known as the Bishop’s Bible was produced. This version shed a kinder light to the leaders of the Episcopalian Church, but was not very accurate nor popular. By now, the Roman Catholic Church realized they had lost the war of keeping the Bible in Latin. So, they made their own English translation called the Rheims New Testament in 1582. In 1604, Episcopalian Church leaders desired a new translation that was more accurate than the Bishop’s Bible, but not as controversial as the Geneva Bible. So under King James I, fifty scholars studied The Tyndale New Testament, The Coverdale Bible, The Matthew-Tyndale Bible, The Great Bible, The Geneva Bible, and the Rheims New Testament. In 1611, the King James Bible was introduced. This is probably the most popular English translation of all time. Even today, many churches still insist on using this translation. However, it has many errors. Remember that the Episcopalians (England), the Protestants, and the Roman Catholics were all fighting against each other. There was a major power struggle. Therefore, all of the translations mentioned above have mistranslations in the interest of the particular church. It is also important to note that in 1611, the King James Bible contained the Apocrypha making it 80 books. It wasn’t removed until 1885 leaving 66 books. Many years later in America, the United States Congress authorized the first English Bible printed in 1782. The was Robert Aitken’s 1782 Bible. This Bible allowed soldiers to carry God’s word with them during the Revolutionary War, because England refused to export their Bibles to America.